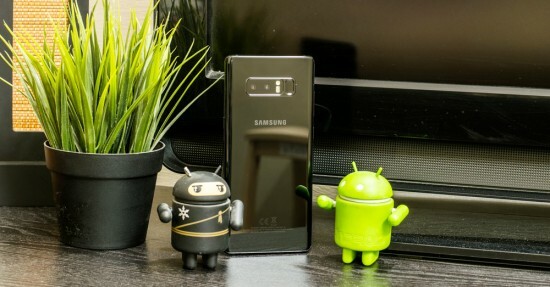 Samsung is the South Korean technical giant and this company has launched various outstanding smart phones in the market, which got tremendous appreciation and acceptance in the mobile phone market. Now Samsung has introduced its new and latest version, Samsung Galaxy Note 8 and it has got good reception in the market. Samsung Galaxy Note 8 has the features of 6.3” super AMOLED screen, infinity display for seamless viewing experience. It has 12 MP rear camera with dual lens and dual OIS and 8 MP camera on the front side with auto focus and F1.7. The handset has 6 GB RAM and 64 GB ROM and microSD card up to 256 GB and it has latest 10 NM processor. The handset has the stylus for effective and creative task management, IP 68 water and dust resistance and latest android Nougat OS. This handset is available in the market in midnight black, maple gold and orchid grey but the deep sea blue color is not available in Pakistan.